Ever wondered what your future home would look like? What mod-cons would it have and would it serve all our purposes? Hiscox have recently launced their new Homes of the Future report exploring just this – what our homes will look like in the next ten years. The report suggests that our future home will be multi-purpose and flexible, serving the need to house and care for our children and elderly relatives and provide the space and opportunity to work for home. With the recent understanding of climate change and with the encouragement to protect the environment, our future houses will provide sustainability through recycled energy and temperatures will be automatically controlled to create the perfect living atmosphere. In order to get a further insight into our future homes and the Hiscox report, we interviewed award-winning architect, Catherine Pease. 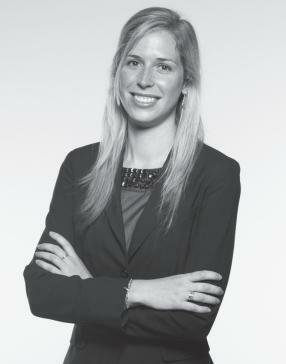 Catherine is a founder of the RIBA chartered vPPR Architects in London. A Cambridge university alumni, she has worked on several high profile commissions throughout her career and has been featured extensively in the media with coverage in The Guardian, Tatler and The Evening Standard. What are your initial thoughts/opinions on the Homes of the Future report? The Homes of the Future report lays out the huge potential of housing in years to come. Society is permanently shifting and with this change comes new and exciting challenges in the way that we live. As an architect, it is a stimulating time to be a part of this evolution as it gives us opportunities to re-evaluate preconceptions of what a home should look like. Have you already seen a change in the way residential properties are built/designed? Technology and sustainability are at the forefront of residential properties that we design. We find that individual clients who are creating a home to live in long term are usually the most likely to invest in these particular areas. It would be nice to see more self-build in the UK as I believe that this would result more sustainable homes and in a higher quality of architecture- individuals tend to feel a greater sense of responsibility in the choices they make. Unfortunately those buying into a development don’t often get to choose. 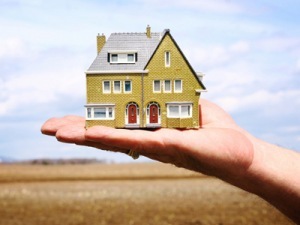 What do you think the Home of the Future offers first time buyers that the property market doesn’t already offer? In the current climate, first time buyers (particularly in cities such as London) often get very little choice as their decisions are likely to be driven by price rather than any other factor. Homes of the Future has the potential to open up more choice in the way a first time buyer chooses to live. Do you think that houses such as those featured in the report will be realistically achievable for the average buyer? Innovation is always expensive at first, but a good idea that is attractive to large amounts of people will become less expensive over time. The car is a good example of what was once a highly luxurious product owned by very few has become a common and relatively affordable item owned by millions. Demand will always bring the cost down and this should hopefully be a trend for Homes of the Future. What are your thoughts on pre-fabricated homes? Will they become more acceptable to people in the future? There are more and more examples of great pre-fabricated homes and the result of this is that they are gradually seeping into the main stream. People love high, tech-innovative gadgets and pre—fabricated homes are of a much larger version! This, combined with economy of scale and lower costs will make them increasingly desirable. Do you think pre-fabricated homes offer the best solution for the affordable housing shortage? There is a lot of potential for affordable pre-fabricated housing where there is available land. It is a great way of creating a common architectural language for a site with multiple houses whilst still giving the individual a choice. Pre-fabricated housing in denser/ urban areas is more of challenge due often-awkward sites, which require very bespoke solutions. How important do you think sustainability will become in our search for homes? I would like to think that eventually all housing will be sustainable and that we won’t need to search for a sustainable home. In the meantime, I believe that people are becoming more aware that the sustainable homes result in a greater level of comfort and well-being, and lower household costs. These factors are becoming increasingly important to the younger generation. If you could design one feature/item for a home of the future, what would it be and why? I have always been passionate about working with systems and the idea of the modular home is highly appealing. I believe that there are huge opportunities to create interesting architecture both in terms of space and forms- why not pre-fab houses that are triangular or trapezoids? New forms and geometries can create dynamic in-between spaces that offer potential for new ways of living. At vPPR Architects, we often work with strong geometrical systems as a means of resolving complex relationships between community, landscape and economy. Any further comments or points? The greatest challenge for the home of the future is the current pressure on land particularly in London and the South East resulting in disproportionate costs compared to the build and materials. If the cost of land were to decrease (through changes in planning laws, government incentives etc), more could be invested in the quality of future homes. Current market pressure means that many developers often have little incentive or financial resources to commission high quality, innovative and forward thinking architecture and design. 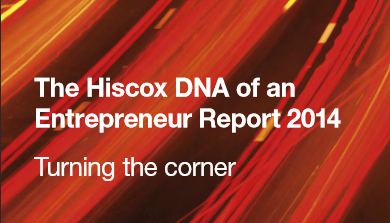 For more information, read the Hiscox report and infographic here.